There are currently 46 colours in our Spectral Paste range, providing the cake decorator with an extensive colour pallet when creating shades in icing. 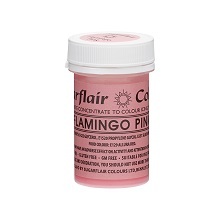 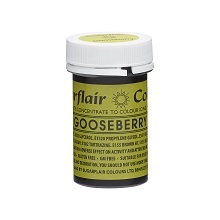 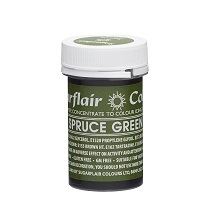 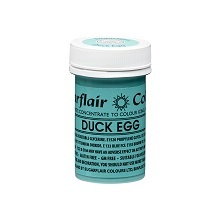 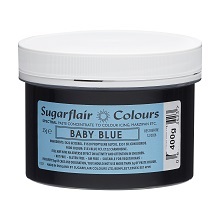 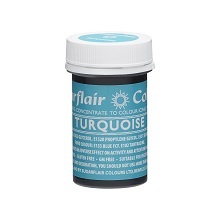 These products are highly concentrated food colours designed for use in fondant icing. Colours: Melon, Egg Yellow/Cream, Peach, Tangerine/Apricot, Egyptian Orange, Pink, Fuchsia, Dusky Pink/Wine, Christmas Red, Velvet Red, Ruby, Claret, Burgundy, Bitter Lemon/Lime, Gooseberry, Party Green, Mint Green, Spruce Green, Holly Green, Eucalyptus, Paprika/Flesh, Autumn Leaf, Khaki, Caramel/Ivory, Chestnut, Chocolate, Dark Brown, Ice Blue, Turquoise, Baby Blue, Navy, Royal Blue, Lilac, Grape Violet, Deep Purple, Liquorice, Flamingo Pink, Strawberry, Orchid, Lime Green, Canary Yellow, Grape Thistle, Rose Pink, Duck Egg, Violet, Graphite.